(part of France) (PJ/SPM) (Saint-Pierre) 1965 - Current. Framable Color Prints and Posters. Digital Sharp Images. Aviation Gifts. Slide Shows. 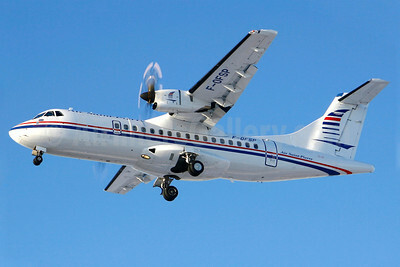 Air Saint-Pierre ATR 42-500 F-OFSP (msn 801) YUL (Gilbert Hechema). Image: 904352.